Michael has many years of coaching experience and his sons Tim and Kristjan are long term players in CFA. 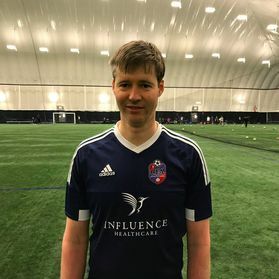 Michael has completed the FUNdamentals coaching level and has coached teams at Cherry Beach in the past. We are happy that he finds the time in his job as lawyer to work with our children. His methodical and nurturing approach is a great addition to CFA.